Professor of the Civil and Environmental Engineering Department at FIU, has led several major multi-disciplinary bridge engineering related initiatives. He is a founder of two major transportation field organizations: the National Bridge Research Organization at University of Nebraska-Lincoln and the Center for Accelerated Bridge Construction at Florida International University. He has provided significant service and contributions to the field of bridge engineering. As chairman of ASCE Bridge Technical Administrative Committee (Bridge TAC), he had the responsibility of overseeing eight ASCE bridge committees. He helped to organize and Co-Chaired the FHWA Bridge Engineering conferences in 2010 (Orlando, FL), 2008 (Baltimore, MD), 2005 (San Diego, CA), 2004 (San Antonio, TX), 2002 (Salt Lake City, UT), and 2000 (Baltimore, MD). He holds several patents in bridge engineering and developed and successfully assisted in the commercialization of Folded Plate Girder Technologies. He has received several noteworthy major competitive grants, including the $2M SHRP2 R19A project, which led to development of the first comprehensive document devoted to Service Life Design of Bridges. He has published more than 200 technical papers in the structural engineering and transportation fields. He has produced more than 50 graduate students at the M.S. and Ph.D. levels. He has received a number of awards and honors, including the 2011 AISC Special Achievement Award. He has taught more than 40 short courses on the design and construction of super- and sub-structures to practicing bridge professionals. Dr. Armin Mehrabi is an Associate Professor in the Civil and Environmental Engineering Department of the College of Engineering and Computing. For the last 23 years, he has worked mainly on research and development, project development and management, and technical activities related to structural evaluation and health monitoring, non-destructive evaluation (NDE), laboratory and field testing, inspection, life-cycle-cost analysis (LCCA), rehabilitation design and construction engineering support for bridges, with emphasis on long-span bridges. He has developed NDE and inspection methods for bridge structures, and has been involved in inspection, evaluation, monitoring, LCCA, and/or rehabilitation design for 14 cable-stayed bridges, and 11 other cable supported bridges in the US and abroad. Dr. Mehrabi is the co-inventor of a Laser-Based Cable Monitoring System developed with the support of US Federal Highway Administration, for which he was awarded as “One of Top 25 Newsmakers of the Year, 1997, By ENR.” He worked and managed the largest privately owned structural laboratory in the U.S. for eight years. Dr. Mehrabi has used his innovative techniques to address unique problems in some of the world’s monumental bridges, including the Bosporus Bridge in Turkey, the QEII Bridge in London, UK, and more recently, inspection, evaluation, design and construction support for the complete cable replacement of the Luling Bridge in LA, the first of its kind in North America. His recent projects include Inspection and Rehabilitation of External Post-tensioning Tendons and Stay Cables of the Second Vivekananda Bridge in Kolkata, India, and Stay Cable Force Measurement and Professional Consulting Services for the Dames Point and Sunshine Skyway Bridges in Florida. He has published extensively on the subject of inspection and evaluation of bridges. Dr. Mehrabi is a registered professional engineer in four states. Dr. Garber is an Assistant Professor in the Civil and Environmental Engineering Department at Florida International University (FIU) and Co-Director of the Accelerated Bridge Construction (ABC) University Transportation Center (UTC) housed at FIU. He has led large-scale experimental and analytical efforts investigating pre-stress losses in pre-tensioned bridge girders, serviceability and ultimate strength of pre-stressed girders with self-consolidating concrete, non-traditional shear failures in pre-stressed concrete bridge girders, and behavior of inclined struts in deep beams. Dr. Garber also led the development of an online database containing data on bridges with ABC technology from across the U.S. He is currently leading a research effort to develop a new superstructure system for short-span bridges in Florida using ultra-high performance concrete. Through his work, Dr. Garber has collaborated with several state DOTs and AASHTO technical committees. Ms. Ralls is principal of Ralls Newman, LLC, a structural engineering consulting firm in Austin, Texas. Ralls joined the Texas Department of Transportation (TxDOT) in 1984. In 1999 she became the State Bridge Engineer and Director of the Bridge Division. Under her direction, the division oversaw and provided assistance in program and project development, structural and geotechnical design, standards and plan development, plans, specifications, estimates review, safety inspection including in-house fracture critical, underwater inspections, bridge construction, maintenance support to the 25 districts for the 50,000 on-system and off-system bridges in the state. Ralls retired from TxDOT in 2004. 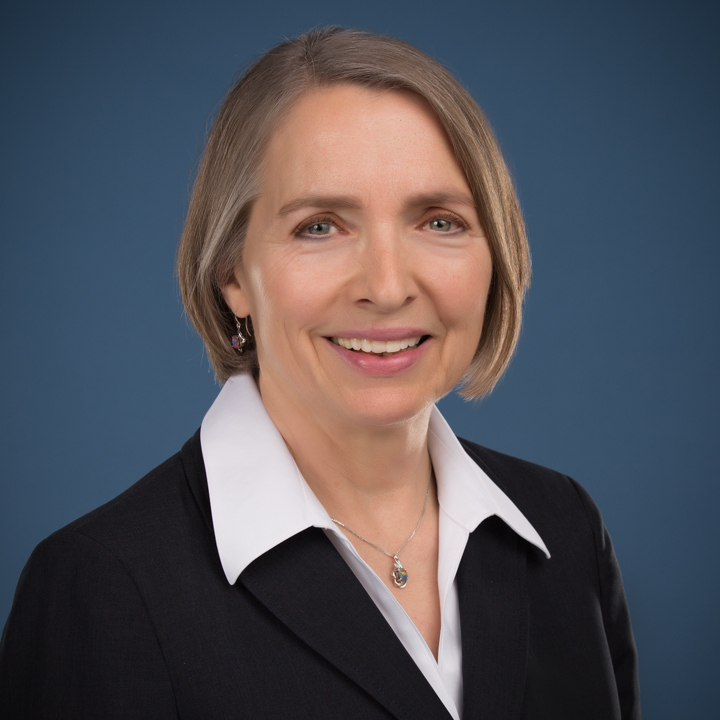 As a member of the consultant support team for the FHWA Highways for LIFE Program, she has developed Accelerated Bridge Construction (ABC) project descriptions, fact sheets, and other resource materials to advance the implementation of ABC. As a member of the FIU ABC Center’s executive board and steering committee, she assists with the development and coordination of the monthly webinars. She has coordinated, moderated, and facilitated ABC workshops for various bridge owners. She was a member of SHRP2’s Renewal Technical Coordinating Committee and several of its Expert Task Groups and the Committee for SHRP2 Implementation Report to Congress. She is active in various engineering organizations and has authored a number of publications on innovative bridge technologies. Ralls holds an MS in Engineering, Structures, and a BS in Civil Engineering with Highest Honors from the University of Texas at Austin. She is a registered Professional Engineer in Texas. A professor in the Civil Engineering Department at ISU, he has made significant contributions to bridge engineering over the past 25 years. He has made major contributions in the development and refinement of AASHTO specifications for the treatment of dynamic loads on highway bridges. Dr. Wipf is an internationally known expert in the area of bridge maintenance, repair, and rehabilitation. His work has been featured in several NCHRP publications. Wipf served as the Director of the Bridge Engineering Center at Iowa State University from 1995 to 2011 and focused on research, education and technical transfer. He has more than 200 technical journal and conference papers related to bridge engineering. Wipf taught more than 25 short courses and workshop topics related to bridge engineering to the practicing bridge engineering community. Dr. Wipf has maintained a significant graduate research program for more than 30 years that focuses on bridge engineering, including multiple NCHRP funded bridge projects. He has collaborated with visiting professors, graduated approximately 100 M.S. and PhD students and has supervised multiple postdoctoral candidates . He has authored or co-authored more than 120 technical publications in structural engineering. Dr. Phares has started/owned five private companies since 2001 – all related to technological evaluation of civil infrastructure. He is currently serving as the major professor of two Ph.D. graduate students, 12 M.S. graduate students, and one postdoctoral research associate. Since 2001, Dr. Phares has been PI or Co-PI on an average of $2.5M/year of competitive research awards. 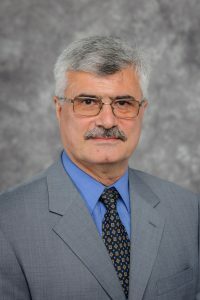 Dr. Ahmad Itani, P.E., S.E. Professor in the Civil and Environmental Engineering Department at University or Nevada-Reno (UNR), Dr. Itani is a recognized expert in bridge analysis and design. He was a member of the SFOBB seismic design panel that recommended guidelines for the seismic design of the existing and the new SFOBB. Dr. Itani has conducted large scale experiments on many California toll bridges (SFOBB, RSB, and BMB) to establish their seismic retrofit criteria. He also conducted large scale experiments to develop new seismic strategy for steel plate girder bridges that allowed inelasticity at the support cross frames. Based on this work, he collaborated with AASHTO technical committees T3 and T14 to adopt specifications that cover the seismic design of steel bridges in AASHTO design specifications and the guide specifications. He is invited regularly to present his work at AASHTO T14 and AISI Bridge Task Force. Dr. Itani was a panel member of the SFOBB eye-bar failure and other peer review committees for long span bridges. His research has been funded by Caltrans, FHWA, AISI, and NSF. He taught short courses on seismic design to many State DOTs. He was the recipient of the 2011 AASHTO/AISI Richard Fountain Award. Dr. Itani developed and teaches two bridge engineering courses at UNR and has over 250 publications between refereed journal papers, conference articles and reports. Dr. Moustafa is an Assistant Professor in the Civil and Environmental Engineering Department at University of Nevada, Reno (UNR). His areas of expertise are bridge and earthquake engineering, infrastructure resilience, computational mechanics, large-scale experimental testing, and hybrid simulation. He received his M.S. and PhD in Civil and Environmental Engineering (Structural Engineering) along with a Certificate in Engineering and Business for Sustainability all from the University of California, Berkeley. Dr. Moustafa is a registered professional engineer in the state of California, and is currently an active member of several ACI committees that are concerned with earthquake resistant concrete bridges, performance-based design, and ultra-high performance concrete. He has more than 25 papers published in refereed journals and conference proceedings articles. John Stanton is a Professor of Civil and Environmental Engineering at the University of Washington. He has an undergraduate degree from Cambridge University (UK) and graduate degrees from Cornell and UC Berkeley. He worked in design practice for six years in Britain, France and Canada before joining the University of Washington in 1978. He has taught and conducted research in several areas of structural engineering, focusing primarily on seismic engineering issues, reinforced, pre-stressed and precast concrete. In the 1990’s, he developed a new seismic framing system for pre-cast concrete buildings that for the first time, used unbonded post-tensioning to re-center the structure after an earthquake. That concept has now been copied by researchers in the steel and timber industries, and in many countries throughout the world. His recent work has focused on bridges. He has worked extensively in ABC in seismic regions, and has adapted the concept of unbonded pre-stressing for use in (pre-tensioned) bridge columns. Pseudo-static tests, followed by shaking table tests, showed that the system has outstanding performance. He is also a recognized authority on bridge bearings and joints. Marc Eberhard is a Professor of Civil and Environmental Engineering at the University of Washington. His research and teaching focus on the design and performance of structural systems, with emphases on reinforced and pre-stressed concrete structures, earthquake engineering and bridge engineering. Professors Eberhard and Stanton have developed and tested a series of bridge substructure systems that are suitable for rapid construction in areas of moderate or high seismicity. Professor Eberhard received the ASCE T.Y. Lin Award in 2014, the PCI Charles Z. Zollman Award in 2013, an Award of Special Recognition and Appreciation from EERI in 2010, and the NSF Presidential Young Investigator Award in 1991. His present activities include participating in the structural studies for the University of Washington team that is investigating the consequences of a magnitude nine earthquake on the Cascadia Subduction Zone. Musharraf Zaman holds the David Ross Boyd Professorship and the Aaron Alexander Professorship in Civil Engineering and Environmental Science, and Alumni Chair Professorship in Petroleum and Geological Engineering at the University of Oklahoma (OU), Norman. He served as the Associate Dean for Research and Graduate Programs in OU College of Engineering (CoE) for more than eight years. During his 30 plus years of service at OU, he has received more than $30 Million in external funding, published 172 journal and 224 peer reviewed conference proceedings papers and 12 book chapters, and served on the editorial boards of several highly prestigious journals. He has supervised 79 master theses and doctoral dissertations to completion. He has been serving as the Director of Southern Plains Transportation Center (SPTC) since October 2013. He serves as the Editor-in-Chief of the International Journal of Geomechanics (IJOG), ASCE. His research papers have earned international-level awards from the International Association for Computer Methods and Advances in Geomechanics (IACMAG) and Indian Geotechnical Society. Prof. Zaman’s leadership in interdisciplinary research was instrumental to developing a patented technology, Intelligent Compaction Analyzer, for real-time monitoring of compaction quality of asphalt pavement layers during construction. His projects have contributed to improved designs through advanced laboratory and field testing, mechanistic analysis, and modeling. His projects have led to enhanced use of recycled materials (aggregates from abandoned mines, reclaimed pavements, reclaimed asphalt shingles, and ground tire rubber) in construction. As SPTC director, he has provided leadership in supporting collaborative research and education focused on climate-adaptive transportation infrastructure, including innovations in bridge designs, construction, maintenance and preservation. Dr. K.K. “Muralee” Muraleetharan , P.E. , G.E. Prof. K.K. “Muralee” Muraleetharan is the Kimmell-Bernard Chair in Engineering and a David Ross Boyd and a Presidential Professor of Civil Engineering and Environmental Science at OU. He is also the Associate Director of the National Institute for Risk and Resilience at OU. He joined OU in 1994 after working as a consulting engineer in California for six years. He is a registered geotechnical engineer in California, the highest level of registration available for a practicing geotechnical engineer in the U.S. In California, he worked on several major projects such as the earthquake engineering design of Port of Los Angeles’ Pier 400 and geotechnical and environmental investigations for the Los Angles Metro Rail subway tunnels. At OU he has been a PI or Co-PI on research grants totaling over $10 million. Some of his key projects include an NSF NEESR-SG project to investigate ground improvement as an option to improve the seismic behavior of pile foundations in soft clays, understanding soil-structure interactions in integral abutment bridges (IABs) through field instrumentation, studying bridge-roadway interactions through field instrumentation, and developing innovative pressure relief joints to reduce pavement pressures on bridges. He was elected as a Fellow of the American Society of Civil Engineers (ASCE) in 2006. He has served on several NSF Site Visit Teams reviewing major research facilities and programs. Prof. Muraleetharan is interested in large-scale computer simulations of infrastructure (bridges, roads, levees, port facilities, etc.) subjected to extreme events (earthquakes, hurricanes, blasts, etc. ), validations of these simulations using small-scale (e.g. centrifuge models) and full-scale testing, and resilience of infrastructure following extreme events. His computer simulation research involves scalable, parallel computing using finite element frameworks. He is also interested in computer simulations of fluid flows and solid deformations in multi-phase porous media (e.g. oil and water flows in deformable rocks).